What if you’re wanting to consolidate or reduce debts, but you don’t really have any sort of collateral? You don’t own a home or a car, but you do have some debts you’d like to manage and potentially reduce. What do you do? I found myself in this situation several years ago, even before my financial turnaround. At that time, I took the advice of a friend and visited my local credit union. It’s perhaps easiest to think of a credit union as a co-op bank. A credit union is typically owned by its members, with the proceeds from the credit union being redistributed to the members either through better benefits and services or through a return on money deposited there. Most credit unions are also founded with the mission of participating in the community and helping out people in the community in various ways. Often, this can mean extending credit to people in marginal situations through loans of various kinds, as well as financial education and assistance to its members. What does that mean for you? It means a credit union can be a great place to look if you’re trying to get a grip on a big pile of debt, whether you have valuable assets or not. The first step is to find a credit union that you’re eligible to be a member of. Many communities have credit unions that are open to everyone in that community. Some large employers have credit unions open to employees of that company or organization. It’s likely that you’re eligible to be a member of multiple credit unions. Next, make sure you have an accurate picture of your financial situation. One good thing to do is to make a list of all of your debts, their monthly payments, their interest rates, and their current balances, as well as a list of your monthly bills. Doing this is useful whether you actually go to the credit union or not. 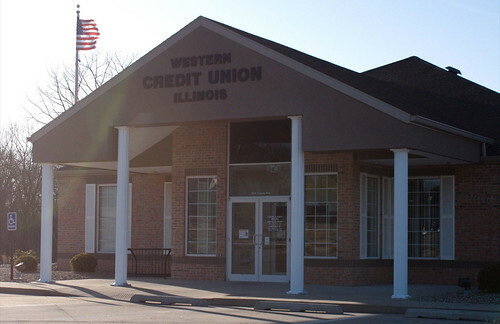 You’ll also want to check out the services available at the credit union you’re looking at. Do they offer some sort of debt consolidation or debt counseling service? Many credit unions have people that help members with these types of things. Then schedule an appointment. Often, you’ll have to pencil in an appointment with one of the people working at the credit union to look over your situation. If you’re unsure, ask for an appointment for a debt consolidation. Be sure to bring all of the information you collected to this meeting. They’ll review it with you and help you to find any programs they might have that can help you cut your interest rates and monthly payments. A credit union is a very useful tool for someone who is trying to get their debt load under control. Don’t neglect to use it.